Former House of Representatives member Opeyemi Bamidele; former Senator Olubunmi Adetunmbi and former Minister of State for Works, Prince Adedayo Adeyeye have clinched the three senatorial ti ckets in Ekiti State. At the All Progressives Congress (APC) primaries conducted on Friday, Bamidele defeated incumbent Senator, Mrs. FatimatRaji- Rasaki to win in Ekiti Central senatorial district. Bamidele polled 61,823 votes as against Mrs.Raji-Rasaki’s 3,289 in all the 57 wards of the district. In Ekiti North, Adetumbi polled 21,763 to defeat a strong field of five aspirants. He defeated Cyril Fasuyi (6,021); Dr Olusegun Osinkolu (5,312); Engr. Akin Bamisaye (2,003); Sir Kayode Otitoju (1,183) and Femi Ajepe (1,183). Adeyeye, despite standing as a consensus candidate in Ekiti South, still polled 51,443. The six APC candidates for the House of Representatives were also elected at the primaries. Former Chief of Staff to Governor-elect Kayode Fayemi, Yemi Adaramodu emerged as the flag bearer for Ekiti South Federal Constituency 1 while former House of Assembly Speaker Femi Bamisile won the ticket for Ekiti South Federal Constituency 2. The Ekiti Central Federal Constituency 1 ticket went to Sola Fatoba. Former Ekiti Assembly Chief Whip, Mrs. OmowumiOgunlola, grabbed the ticket for Ekiti Central Federal Constituency 2. Former Chairman of the State Housing Corporation Peter Owolabi won the Ekiti North Federal Constituency 1 ticket while former Senior Special Assistant to the Governor on Legal Matters Ibrahim Olarewaju clinched the ticket for Ekiti North Federal Constituency 2. 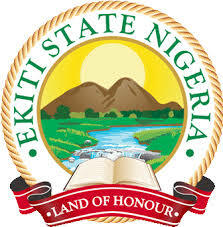 But the three House of Representatives aspirants in Ekiti North Federal Constituency 1 rejected the results. They called on the party’s National Working Committee (NWC) to cancel the exercise, alleging there was no election in Oye and Ikole local government areas. Former House of Representatives member Bimbo Daramola; former House of Assembly Service Commission Chairman, Chief BunmiOgunleyeand Femi Ajayi, in a joint news conference in Ado-Ekiti alleged results from various wards were concocted for Owolabi, who was declared winner. The aggrieved aspirants accused the Electoral Committee led by Dr. Ibrahim Sule of allegedly manipulating the process and denying many party members of voting. Daramola said: “The result announced for our brother, Mr. Owolabi, was a disappointment and brazen desecration of democracy in our land.